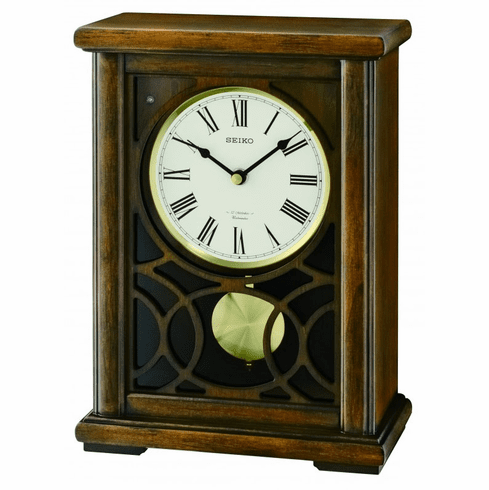 Features a brown wooden case, light sensor, volume control, pendulum, and demonstration button. Requires three "AA" batteries. Dimensions: H: 12", W: 8-3/4", D: 4-1/4"